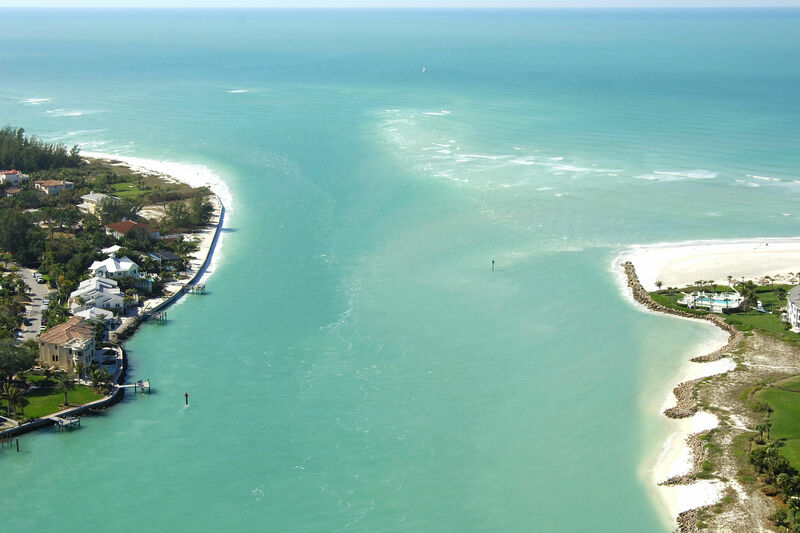 New Pass Inlet is located on Floridas West Coast about 13 miles south of Bradenton and 17 miles north of Venice Inlet. 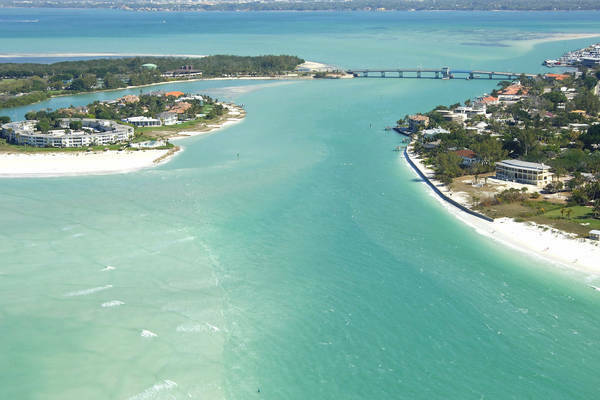 New Pass allows access from the Gulf of Mexico to Sarasota Bay via a four- to seven-foot-deep channel that, while constantly shifting, is fairly reliable and safe in most conditions. 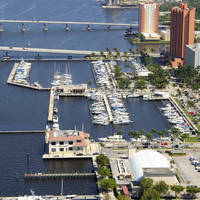 The image above is a view from the southwest looking southeast over New Pass Inlet with Sarasota Bay in the background. The New Pass Bascule Bridge is visible toward the back side of the inlet, while Lido Key can be seen on the right (south), with Longboat Key on the left (north). Although New Pass Inlet has fairly reliable depths, the entrance channel is constantly shifting, and aids to navigation are not charted, as they are frequently moved around by the Coast Guard to reflect the greatest depths in the inlet. 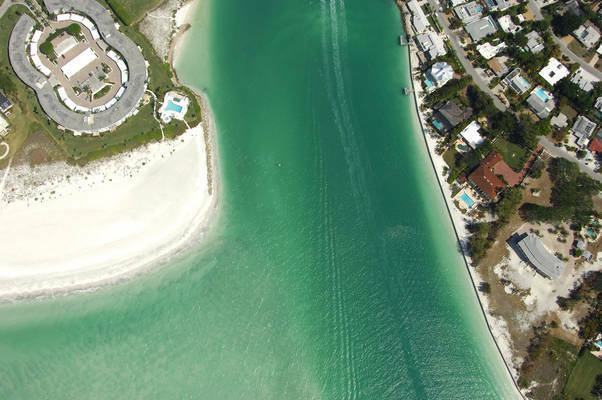 The image above shows that the deepest portion of the inlet tends to run to the south past Lido Key, with extensive shoaling to the north along Longboat Key. From the Gulf of Mexico, flashing white Morse (A) light NP marks the beginning of the approach channel into New Pass. From here, aids are uncharted, but visible, and usually quite easy to follow in. Depths are charted at seven feet back to the New Pass Bascule Bridge (23-foot closed vertical clearance), and then six feet back across Sarasota Bay to the Gulf Intracoastal Waterway. 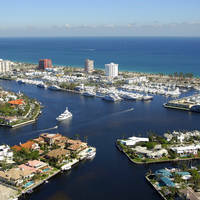 Marinas are located on the east side of Sarasota Bay at the end of the channel that leads from New Pass to the east. No reviews yet! 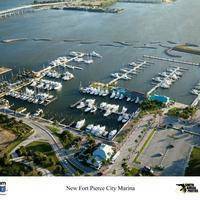 Be the first to write a review of New Pass Inlet.